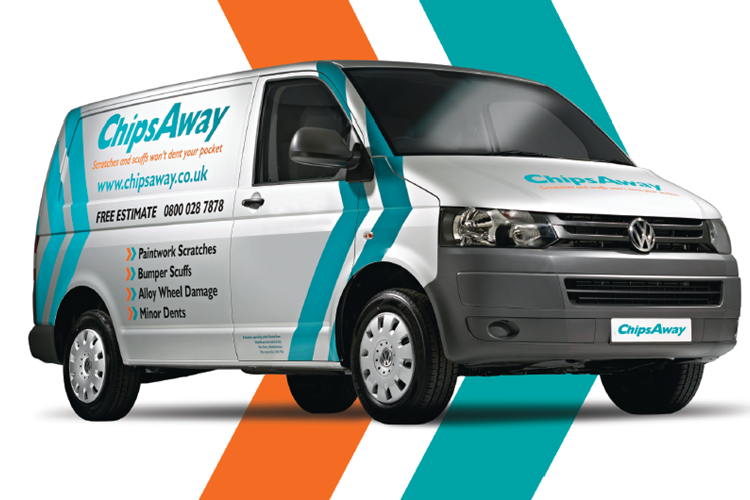 At ChipsAway, we understand the desire to keep car looking brand new for as long as possible. It’s this desire that leads many car owners to turn to paint protection film (vinyl wrapping). Here is our guide to wrapping and the process, with advice on what to consider before you get your car wrapped. Vinyl wrapping protects or changes your cars paintwork by sticking a layer of vinyl coating over the top of existing paintwork. The vinyl can be clear to protect the paintwork, or there are a range of colours to choose from. Coloured vinyls will transform your car’s appearance, to make it look unique. Car wrapping is a complicated process, needing a trained technician. They will prepare the surface of your car, and apply the plastic layer to all panels, cutting it to fit and blend seamlessly. Clear vinyl wrapping: the most common kind of paint protection film. The purpose of this is to preserve the look of your original paintwork. The film will prevent minor scratches and stone chips, whilst keeping the original colour and finish. Coloured vinyl wrapping: this opaque vinyl film is most commonly used to revitalise older cars, or personalise new models. 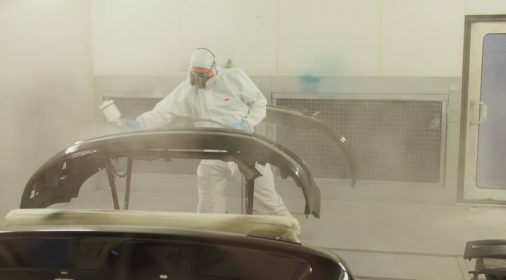 It can change the car’s colour or finish for less than the cost of a paint respray. 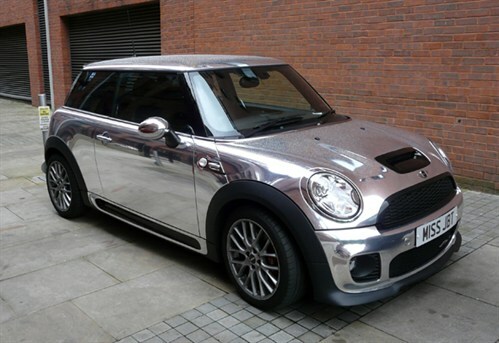 This can allow you to try fashionable styles like matte, or re-colour areas like the wing mirrors and for a new look. Advertising wraps: If you use your car for business, advertising wraps can show your logo, contact details etc. In this case, vinyl wraps are applied by professional signwriters. It is cheaper than a re-spray of your car. 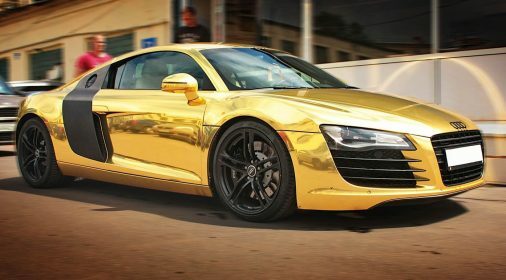 Vinyl wrapping normally starts at £1,000, whereas a full body re-spray may cost three times as much. It’s easy for it to be done badly. If you’re tempted to use cheap services, the vinyl can look cheap, thin, bubbled, or worse. The PistonHeads forum has some examples of vinyl wrapping gone bad! Vinyl car wrapping can get spider webbing more (the swirl marks that appear on the surface). This means no more petrol station car washes! If not fitted correctly, water can become trapped under the wrapping, leading to rust. Many find that when they remove the plastic, there are deep scratches in the paint below. This can come from the knives used by fitters to cut the vinyl to size! If you sustain more serious scrapes or dents, the vinyl will need removing to allow for the repair. If you’re having your car wrapped, we advise that you shop around, to find the most reputable fitter, and avoid being tempted by low costs. A quality fitter will take pride in their work and should have plenty of examples to show you. 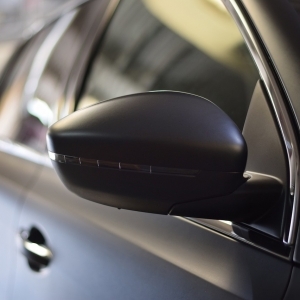 If you want to remove unsightly paintwork scratches, our mobile technicians can carry our cost-effective car body repairs. Our specialists can come to a place most convenient for you, leaving your car looking good as new, with a lifetime guarantee. Fill on our online form today for your no-obligation repair quote. And protect your car’s paintwork with Supagard Paint Protection system!